Built in 2002, the garden greenhouse at Blue Fox Farm was designed originally to accommodate a much different crop at the start. 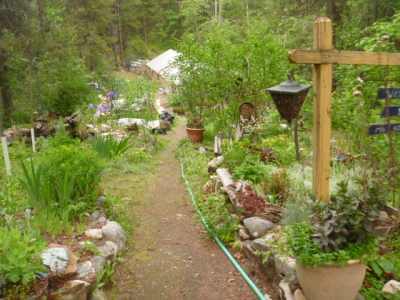 I had got interested in native plants, and all the benefits of using those in a landscape. After intense and often heated discussions with landscape designers, landscaping contractors and plant nursery owners, I finally rediscovered hardy succulents, and was hooked. 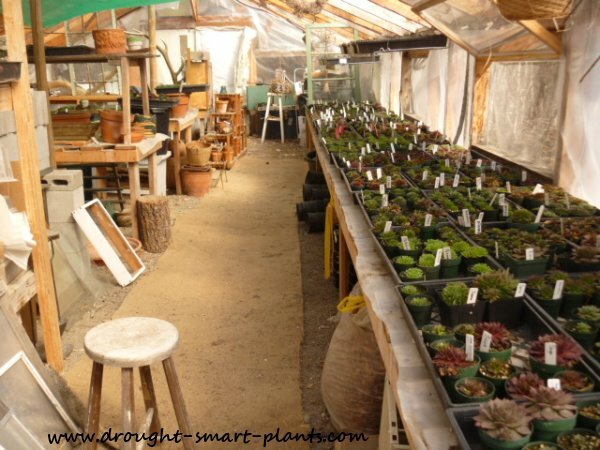 Now the greenhouse is used for vegetative propagation of many varieties and species of Sedum, and also growing many other hardy succulents such as Sempervivum, Rosularia and Jovibarba with seed propagation. I also value the bright, under cover area to dry off the hardy succulents before shipping them. 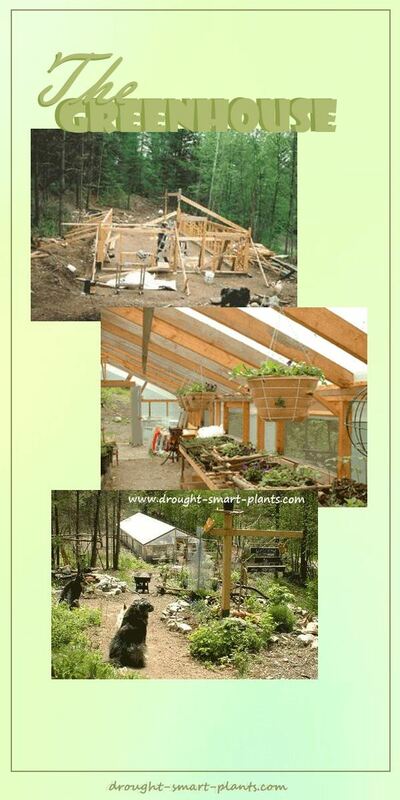 This handmade wooden greenhouse has also been used very successfully for growing tomatoes and other edibles. 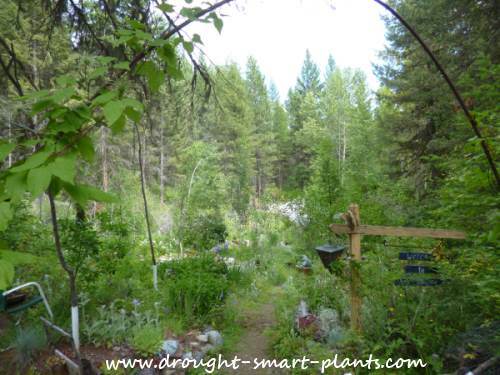 After a lot of trial and error, I settled on growing the many fascinating Drought Smart Plants I grow now, and I've never looked back. The design was taken from another greenhouse I had and the flaws of that one were avoided in the new one. 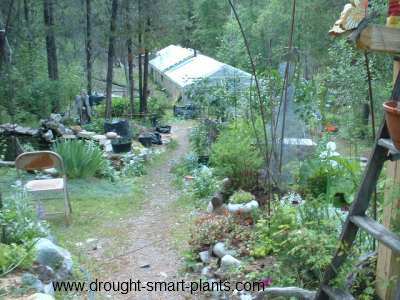 It's a steep learning curve, figuring out the right design for your greenhouse and all the 'furniture' that goes in it. I made sure that it had enough headroom in the aisles for taller people, and the door was offset and wide enough to accommodate a wheelbarrow. It has a double door at the back end to enable me to back a truck up to it to load or offload plants and supplies. The benches were sized to accommodate 1020 flats, which are, oddly enough, 10 inches by 20 inches in size. This means that I can have three rows of flats all along each bench. The maximum amount I can fit in the greenhouse is just over 130 flats. Analyze what you require from your greenhouses and keep in mind that a flexible design can be easily altered in the future. 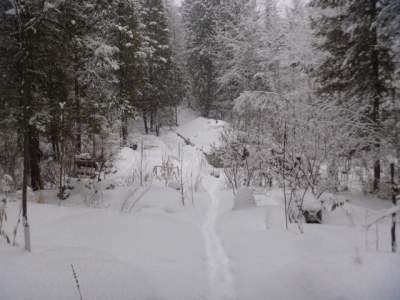 I'm fortunate that in the planning stage, I asked for a frost free water hydrant, which means I can use water all year if needed, and one electrical outlet for fans or heaters. There is also an airtight wood burning heater, which I have used periodically. I tried to grow African violets one year, and kept the wood heater going 24/7, which almost killed me. I gave up after that, and concentrated on less demanding types of plants, like the succulents which only go in there through the summer. I use the garden greenhouse for other purposes than just growing plants. I also have an area for painting rustic signs, and other crafts that I make out of barnboards and twigs. 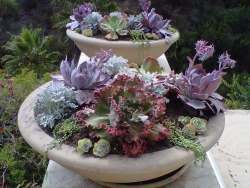 There is room for packing and succulent plant propagating, as well as a repotting area. 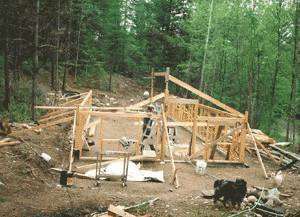 The floor is native soil, covered with pea gravel for drainage, and the structure itself is rough cut locally supplied lumber. The walls are two layers of poly, and the roof is a single layer of Bob’s Superstrong Plastic. This product is supposed to last up to ten years – this greenhouse is ten years old now in 2013, so we’re nearing the end of the roofs life, and it will have to be replaced soon. Edited; It's December 2015, and the roof is still standing - who would have guessed it would be so tough? Now the greenhouse is used primarily in summer from about April onwards for starting vegetables for my organic garden, and, more importantly, as a summer home for my many succulent plants. 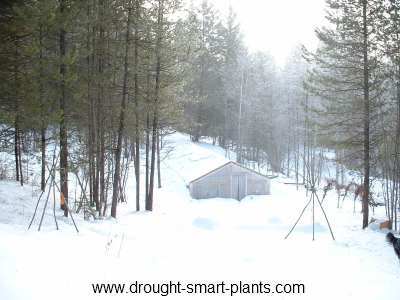 My micro nursery depends on having a climate controlled area to propagate my stock in safety. In winter it’s used as storage for pots, flats and hoses, as well as a dry place to work on twiggy projects as the need arises. Even on quite cool winter days, the heat builds up to a balmy 15 degrees Celsius, quite comfortable to work in. Decide on the size you want, then add a third again to give you enough room to grow into it. 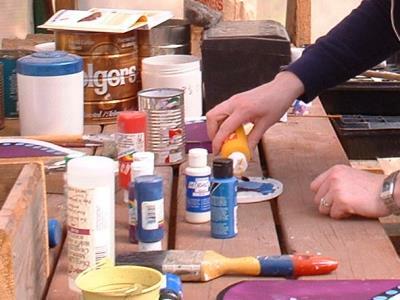 Build winter storage for pots and potting soil, amendments, tools and the like. Bins, shelves and counter tops should be sturdy and well built. Fit the plant shelves to a standard size to allow for growth in the future. Frost free hydrant for running water all year, even when everything else is frozen. Electrical outlet for fans, running a vacuum or pond fountain. 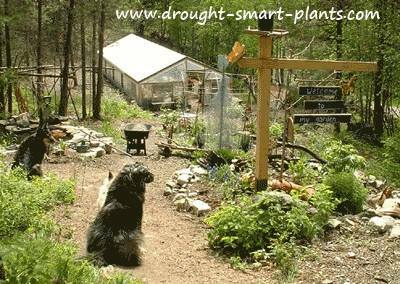 Follow these guidelines and build your perfect garden greenhouse, and be prepared for more fun than you thought possible. I've always like galleries of photographs of works in progress; this is the garden greenhouse from the same spot over several years. but June made up for it with verdant growth. July 2014 and the gardens are almost taking over; the greenhouse is almost completely hidden from view. 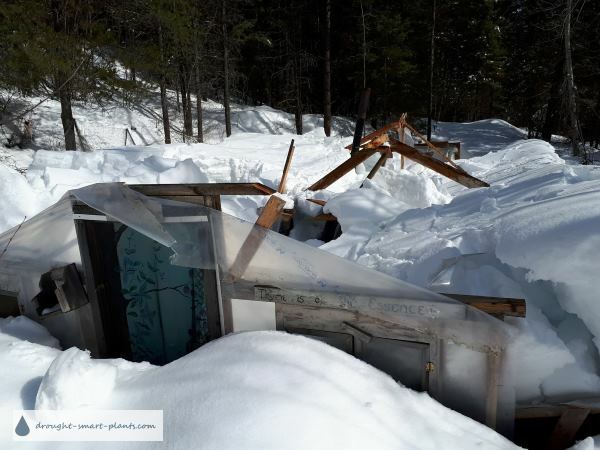 Sadly, four feet (one meter) of snow is just too much, and in March 2018 disaster struck. With way more snow accumulation than normal (is this global warming?) the greenhouse finally caved in. The only thing left standing is the door in its frame. 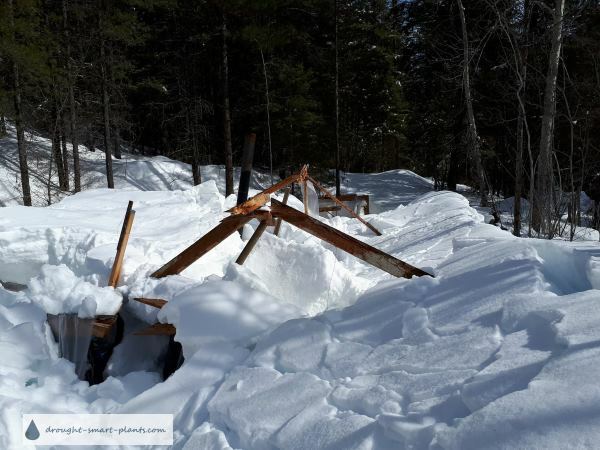 It will be a lot of work digging out all the carefully stored items before the snow melts and creates even more work. I predict a big bonfire to burn the remains - the foundation would be good to build a garden in, or another greenhouse with a more steeply pitched roof. Many kinds of drought tolerant perennials are displayed in the xeric gardens. The gardens are rarely watered, but rain water is salvaged off any available roof to fill two large barrels in the greenhouse. 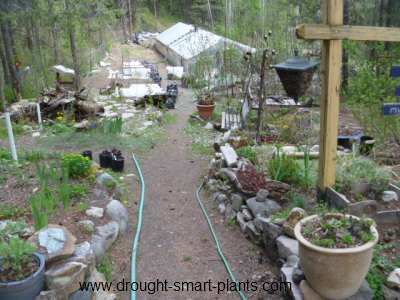 This serves two purposes - the water is soft, not mineralized as the well water here is, and as the barrels are black, they retain warmth over night preventing any frost damage to tender succulents.